How does it feel to care for a stolen child? Tuula, her ten-year-old son Roope and her new husband Harri, make up a nuclear family. Life is comfortable and satisfying: Harri has a tattoo studio; Tuula is a seamstress. The only thing is, Tuula cannot have any more children. A thought takes root in Tuula’s mind: Maybe we should we take in a foster child? The idea comes a little suddenly for Harri, but things start moving when Roope gives his stamp of approval to the project. There are two potential foster children for the family: the siblings Luke and Venni, eight and five. The children have been “burdened with things that they’re too young to understand”. Tuula is about to find out that cut-and-dried models for how to handle life don’t exist after all. 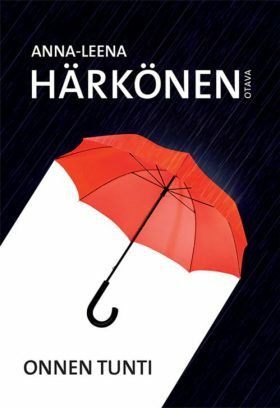 Härkönen’s artful prose emotionally pulsates to a metronomic beat, revealing with unfailing precision the fragile bond that begins to form between a family and its foster children. But also the fury of desperate biological parents, and the raging stew that is set boiling by conflicting desires. Yet at the heart of it all are the children, our own and those who touch our lives.